This three bedroom two story offers so much character and charm! 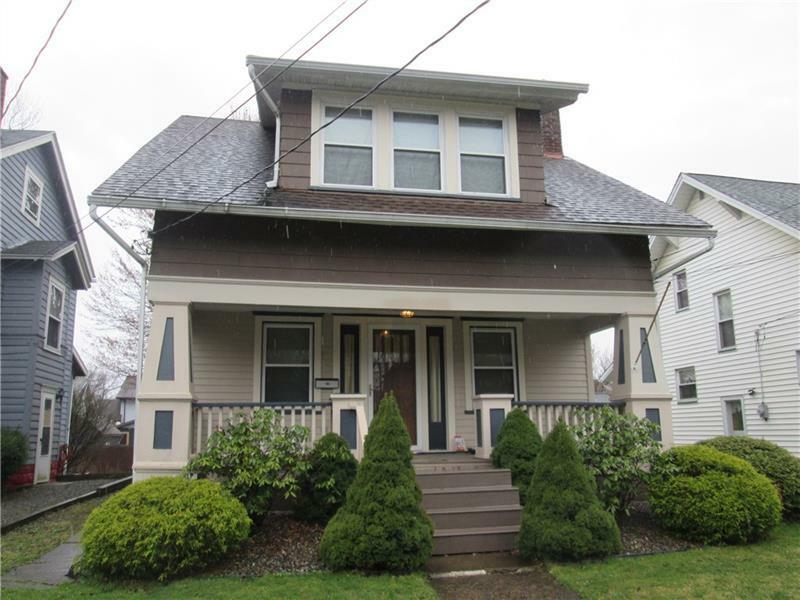 Featuring an abundance of original woodwork, you'll love the spacious living room with decorative fireplace, formal dining room adorned with built in china closet and large window seat, and the updated kitchen w/stainless steel appliances that leads to elevated rear deck overlooking fenced in backyard. Upstairs, you'll find the generous master bedroom w/walk in closet, two nicely sized additional bedrooms and full bath. Lower level offers laundry hookup and another bath. Newer windows, central air, new hot water tank, updated 150amp electric. Detached one stall garage. All nestled on table top lot at the edge of the city. Great starter home in nice neighborhood minutes from Pearson Park!